University of Illinois psychology professor Alejandro Lleras found that mobile device addiction is associated with depression and anxiety. CHAMPAIGN, Ill. — Is cellphone use detrimental to mental health? A new study from the University of Illinois finds that high engagement with mobile technology is linked to anxiety and depression in college-age students. “There’s a long history of the public fearing new technologies as they are deployed in society,” said U. of I. psychology professor Alejandro Lleras, who conducted this study with undergraduate honors student Tayana Panova. This fear of new technology happened with televisions, video games and most recently, smartphones, he said. With the growth of mobile technology and the accompanying concern about its mental health implications, the researchers wanted to explore the connection between these information and communication technologies and psychological well-being. “People who self-described as having really addictive-style behaviors toward the Internet and cellphones scored much higher on depression and anxiety scales,” Lleras said. In a follow-up study, Lleras and Panova tested how having a mobile phone or not having one in a stressful situation affected participants’ responses to the stressor. Individuals who were allowed to keep their cellphones during an experimental, stressful situation were less likely to be negatively affected by stress compared with those without their phones. “Having access to a phone seemed to allow that group to resist or to be less sensitive to the stress manipulation,” Lleras said. This benefit was both small and short-lived, but suggests the phone might serve as a comfort item in stressful or anxiety-inducing situations, he said. 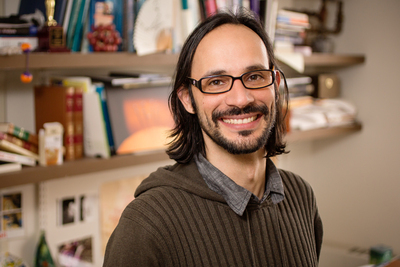 To reach Alejandro Lleras, call 217-265-6709; email alleras@illinois.edu. The paper “Avoidance or boredom: Negative mental health outcomes associated with use of Information and Communication Technologies depend on users’ motivations” is available from the journal or from the U. of I. News Bureau.